I would leave work about 2:30 to get to the center by 3:00. The regular third shift starting time was supposed to be 4:00 but the tech (Krystal) I usually had was ready for me by 3:00 or shortly thereafter. This was a something special she did for me because if I started at 4:00 it would be 8:30 or 9:00 before I got off. I had to get up at 6 a.m. for work and I really needed my sleep time. If I didn’t get my 8 hours, I was a wreck the next day. I was already enough of a wreck without the sleep issue but not getting enough made it much worse. It was simple math. I lived about 30-40 minutes from the center. If I got out by 8:30, I could be home around 9, in bed by 10 and get my 8 hours of sleep. Every minute was precious to me. I was juggling a lot of balls and I had no time to spare. Besides, Krystal didn’t want to stay that late either. She liked to get off work before ten and if I started late and had blood pressure problems (as I often did), she would have to stay late. She wanted to avoid that. We were a good match. When I started dialysis, Krystal was my angel. She took really great care of me. I was a difficult stick. My A/V Fistula was deep and difficult because it took a long time to “mature”. In those early months, she seemed to be the only one who could find it quickly and easily. (More about that in a future post.) Knowing I had to get in early so I could get out early, she was always prepared for me. Over a couple years, I got another tech that seemed to stick me well and so I had a back up. If Krystal wasn’t available, he would stick me. But occasionally I was assigned to someone who had never stuck me before. When that would happen, I would ask for one of the two techs to stick me while the new tech took care of everything else. It wasn’t always a problem except for the time I asked if it would be okay for Krystal to stick me. The new tech took it personally and stomped off in a huff. Krystal stuck me but the tech didn’t speak a word to me for the entire four and a quarter hours. In fact, she didn’t speak to me for several months! I finally had to take here aside and explain to her that it wasn’t anything personal and we “made up”. As long as I was assigned to one of my regular, trusted techs, things went smoothly. However, in the disorganization of that center, it was a chore to have me assigned to one of my trusted techs every time and because of that, I was not always assigned to their care. Whoever did the assignments, wrote them into a schedule that placed on the work area near the entrance to the center. I didn’t know about the schedule book for the first couple years. I just entered the treatment area when my name was called over the intercom. After a couple years, I found out about the book and when I arrived at the center, I would check the book to see who and where I was assigned to. We, patients, learn the center workings pretty well. If you read my first post about the Center from Hell, you’ll know the waiting room was pretty crowded. Because I came in early as the second shift was beginning to end and before the third shift started, there was room to sit. If I came in at the beginning of the third, there may not have been a place to sit as the out-going patients waited for their rides and the in-coming patients waited to be called. In the last months, I was at that center and several times prior to that, the door to the center was often locked. As a result, I couldn’t go in and check the assignment sheet, let whoever I was assigned to know I was there, and wait in the waiting room to be called in. I was left to wonder when and if my named would be called over the intercom. Far too many times I would get there at 3 and have to wait until 4 or 4:30 before I would be called in. That meant not only the wasted time waiting for treatment but late getting out, late to bed, and not enough sleep. This seemed to happen more and more often. I complained to the head nurse about this and was told, “Well, you’re not supposed to be here until 4 p,m. anyway”. My needs weren’t important to the center. Then, increasingly more often, I wasn’t being assigned to one of my trusted techs and I had to suffer through a new tech who didn’t know how to stick me. I endured it as much as I could. Krystal or the other tech would sometimes come to my rescue by coming from another part of the center to stick me. But that wasn’t always possible. The management of the center, as I said, was disorganized. That’s why I took the time to become a Network Patient Representative. I wanted to do something to help improve the situation. In those days that I was waiting for hours at a time, I heard the complaints of others and I knew, first-hand, what it was to suffer from the disorganization. I tried talking to the staff and effecting change from within. (see “Dialysis and the Center from Hell” if you haven’t already) The center’s level of problems finally reached a point that a manager from the corporate offices started coming to visit. He talked big and got rid of some bad techs but that was about all he could do. 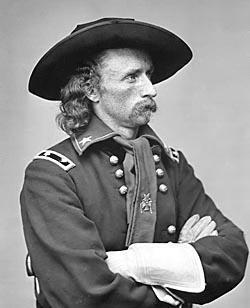 It was disappointing to imagine the cavalry coming to our rescue, then noting it was General Custer and we were the Little Big Horn of centers. He was wiped out. Little was changed. I endured this disappointment for a couple months. Then one evening, as I sat in a chair in a far corner of the center, next to the whirling of a noisy centrifuge, too far to view one of the shared TV’s that hung from the ceiling and the clock ticked past 8:30 on it’s way to 9, I stewed and thought. I’d had enough. My needs as a patient were not being met at this center. It seemed that things were getting worse, not better. When the nurse came by, I called her over and told her that was it. I was leaving the center. This would be my last time. I was not coming back. I had no idea what I was going to do and where I was going, but I was changing centers. This entry was posted in dialysis and tagged dialysis, ESRD, hemodialysis, kidney, patient, treatment. Bookmark the permalink.